The Birth of Real-Life Decepticons? 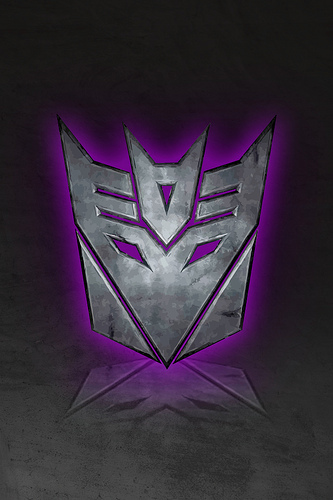 I know that we’d all like to think that there are Decepticons in real life, but in rare moments of connecting with reality, even the most avid believers in the Masters of Deceptions just might acknowledged that they are not, well, real. Then again, I just might be wrong in saying that. A group of researchers from Georgia University have developed real-life robots that might eventually turn out to be masters of deceptions! What they’ve done is to come up with an algorithm that allows the machines to make decisions as to whether or not deceive other robots. If you think that’s pretty cool, you’ll think this awesome: the algorithm also equips the robots with the capability to deceive humans! How were they able to determine if the algorithm actually works? During the games, colored markers were lined up along three potential pathways to locations where the robot could hide. The hider selected a location from the three location choices, and moved toward that point, knocking down markers along the way. Once it reached a point past the markers, the robot changed course and hid in one of the other two locations, making sure not to hit any markers by its actual hiding spot. Developing this algorithm required interdependence theory and game theory that tested the value of deception in a specific situation. The game satisfied two key conditions that the robots needed to warrant deception: There must be conflict between the deceiving robot and the seeker, and the deceiver must benefit from the deception. I have to say that while the concept – and the fact that it actually worked – is nothing short of amazing, but I can’t help but think of the Cyclons and all other movies/shows that relate how man created robots and how the creations turned on their masters eventually. At present, the researchers say that the main purpose for these robots is simply for the battlefield – to save lives and all that. Still, who is to say that real life events will not somehow get turned into a science fiction plot? Or is this just paranoia?